For three and a half centuries Britain was under Roman rule. The Romans built roads, towns, forts and temples, bringing with them soldiers and cultures from across Europe. They conquered the native 'Celtic' tribes of Britain and established military control in the North with the construction of Hadrian's Wall and the huge legionary fortress at York. In the reign of Constantine the Great, they also brought Christianity. Constantine, who was proclaimed Emperor at no less a place than York, would himself become the first Emperor to convert to Christianity. By 314 York was one of a number of important places in the Roman empire with a Christian bishop. Christianity was however, only one of a number of religions accepted within the Roman empire and it is not known how many Britons were actually Christians. The native people of Britain were ancient Britons, speaking a Celtic language resembling Welsh, but of course many would also learn to speak the Latin of the Romans. Many of these people continued to practice their native Celtic 'pagan' religions, while others may have adopted more exotic religions introduced from other parts of the Roman empire. One thing is certain however, in 300 years of occupation the Britons had intermixed with the multicultural Romans to form a 'Romano-British' society, quite different from the Celtic culture of pre-Roman times. In the vicinity of Roman forts, native Britons intermarried with Roman soldiers enlisted from far flung corners of the Roman empire like Iraq or North Africa. At Housesteads on the Roman Wall, they may even have intermarried with members of the Roman garrison of Anglo-Saxon soldiers stationed at that particular fort. But we should remember that these Anglo-Saxons were not yet native to our shores and originated from the Germanic lands of the continent. By 399 AD, three and half centuries of Roman rule in Britain were drawing to an end as the Romans commenced the removal of their troops from Britain. Attacks on Rome by the Visigoths from eastern Europe meant that reinforcements were desperately needed elsewhere and the Romans could no longer hold on to Britain as a military province. In the North of Britain, the depletion of the Roman army left the northern frontier of Hadrian's Wall severely exposed and revolts against the small scattering of Romans who remained soon gained momentum. Virtually all Roman troops had departed from Britain by 410 AD, leaving our shores and internal borders defenceless. The north was particularly vulnerable to attack, not just from Picts and Scots in the north, but from Anglo-Saxon raiders from across the North Sea. These Germanic raiders consisted of two main groups, the Angles (or Anglians) from what is now the border of Germany and Denmark (Schleswig Hosltein) and the Saxons from what is now Northern Germany. During the later centuries of Roman occupation, the Romans had built several defensive watch towers along the coast to defend against the Anglo-Saxon raiders. In the north, examples could be found at Scarborough, Goldsborough, Filey and Saltburn, but there were almost certainly others. When Roman rule came to an end the Anglo-Saxons no doubt continued to raid the coast but some found themselves employed by the native Britions as mercenaries to defend Britain against the Scots and Picts. Many Anglo-Saxons were given land in Britain as a return for their protection, but it became increasingly apparent to the new settlers, that Britain was now a vulnerable province that was there for the taking. The Angles had begun to invade and settle all parts our eastern shores, seizing the region they called East Anglia by 440, along with Lincolnshire and regions further inland. It is likely that the North East was already under attack or at least bracing itself for invasion, but some aspects of the Roman way of life still persisted. It is known, for example, that in 445 AD, Newcastle upon Tyne was still known by its Roman name of Pons Aelius - the site of a fort adjoining a bridge over the Tyne. By 450 AD, the Angles had begun their invasion of the north, colonising land in the Yorkshire Wolds, just to the north of the Humber in a land they called Deira. This name was probably an adapatation of an exisiting Celtic tribal region or kingdom. Gradually the Angles would invade territory further north and began settling the lowland river valleys of the east coast including possibly the Tyne, Wear and Tees. Excavations at Norton on Teesside, have revealed evidence of Anglo-Saxon settlement in this early period. It is also possible that one group of Angles from Lincolnshire - a region then known as Lindis feorna (later Lindsey) colonised and named the island we know today as Lindisfarne. Lindisfarne was certainly known in early times as Lindis feorna. Much further south on the southern shores of Britain, the Saxons were settling and establishing new kingdoms like Essex, Sussex and Wessex, whilst a similar Germanic people called the Jutes were colonising Kent and the Isle of Wight. There was of course native British resistance to their attacks and it is recorded that the Britons heavily defeated the Anglo-Saxon invaders at a Battle located at some identified spot called Mons Badonicus or Badon Hill. The early Anglo-Saxon period was undoubtedly an age of war and turmoil and our knowledge of this period is scanty. It is this early age of Anglo-Saxon invasion that is often associated with King Arthur, a Briton who is said to have fought against the Anglo-Saxons. He is reputed to have died in 537, perhaps on the Roman Wall, but little can be said of Arthur, since so little is known. He may not have existed at all. Although the story of Arthur is fascinating, to give too much attention to a shadowy figure like Arthur, himself largely a creation of later Medieval writers would give a distorted and unreliable view of this early period of Anglo-Saxon history. Arthur's story is largely the stuff of Romantic fiction of a much later medieval period and can cast doubt, quite wrongly, on the whole Anglo-Saxon period that follows. The so called 'Age of Arthur' is one period of British history about which we know very, very little and yet so much has been written, perhaps because it stretches the imaginations of writers. Our limited knowledge of this early period has led to the term 'Dark Ages' but it would be quite wrong to apply this term to the whole Anglo-Saxon age, since the Anglo-Saxon era is in fact a period about which we know a great deal. However, in the earliest period of Anglo-Saxon history it is very much a case of history's gradual emergence from darkness. One important clue to the early settlement of Anglo-Saxons is in place names, as most of the place names of our region and indeed of England as a whole, are of Anglo-Saxon origin and often tell us the names and activities of the first Anglo-Saxon settlers. Significantly, almost all places ending in 'ton' or 'ham' are of Anglo-Saxon origin, but there are many other types of Anglo-Saxon place names. Interstingly the original Celtic and Romano-Celtic places names are very rare in England. We know, that before the Anglo-Saxons arrived, the North East, like the rest of Britain was occupied by the descendants of the Romanised Celts and earlier peoples. In the far north, one group of these Celtic people had developed into a tribal kingdom called the Goddodin in the Lothians with their tribal fort and capital located at Din Eidyn (Edinburgh). The Goddodin are thought to have been the descendants of the Votadini, a tribe that inhabited this territory along with Northumberland in the early days of the Roman invasion. In 538 AD the Gododdin were not yet under siege from the Anglo-Saxons but they were defeated in a great battle at Edinburgh after an onslaught by the Caledonians, a massive confederation of highland tribes from northern Scotland. The most important date in this otherwise dark period of nortern history was 547 AD. In this year, the ancient British coastal stronghold of Din Guyaroi (Bamburgh) on the North East coast was seized by the Angle chief called Ida the Flamebearer. His seizure of this important British stronghold was an important event in the Angles' political and military seizure of the North. It is is a year often regarded as the first real date in the history of the kingdom that would come to be known as Northumbria. It is likely that Ida already had a foothold in the Tyne, Wear and Tees region, but the populous native British lands in the vicinity of Din Guyaroi (or Din Guaire) were an important addition to Ida's expanding Kingdom of Bernicia. The name of this emerging kingdom, was like Deira, probably an adaptation of an existing Celtic name and would come to be synonymous with the North Eastern region in the centuries to come. Ida had conquered huge areas of land in the North East by 550 including some territory south of the Tees. He was now undisputedly the most powerful leader in the northern Angle Land (later England) and Din Guyaroi or Bamburgh was the capital of his kingdom. In 560 he was succeeded by his son Theodoric, whose domain was confined to Bernicia, north of the Tees, but some of the remaining Celtic kingdoms that existed in the north, saw him as a weaker leader than his father and refused to accept his rule. Meanwhile, in the Yorkshire Wolds (known to the Angles as Deira) an Anglian chief called Aelle was rising to power and conducting his people against the native Britons. Aelle can be regarded as the first king of Deira. Rivalry between Deira and Bernicia would be a long running feature of Anglo-Saxon history in the north. However, the native Celts were not yet completely subdued. Urien, the leader of the British kingdom of Rheged (based in Cumbria) was determined to fight for the Celtic cause. In 575 AD, he besieged King Theodoric of Bernicia on the island of Lindisfarne in a siege that lasted three days, but victory could not be claimed. The island of Lindisfarne, in close proximity to the Bernician capital of Bamburgh seems to have been an important location in the early battles between Britons and Angles in the North. Little is known of this period but it was on Lindisfarne in 590 AD that Urien of Rheged would meet his end fighting against the Anglo-Saxons. It is thought that he was betrayed by Morgan, a leader of the Goddodin tribe from north of the Tweed. In 593, Aethelfrith, the grandson of Ida the Flamebearer, became the new King of Bernicia in the North-East of England. Without a formidable, like Urien, his power seemed assured even in the Celtic regions. In 598 Aethelfrith's men heavily defeated the native Britons in a great battle at Catterick. Here was located the ancient British kingdom called Catraeth centred on the Tees and Swale. The battle was the result of a major campaign and a huge army of Britons had marched there after assembling at Edinburgh. The Britons included the people of Gododdin, Rheged and Northern Wales. It was as if the Britons were engaging in a last stand against the Anglo-Saxons. But they were heavily defeated by Aethelfrith. The kingdom of Catraeth was seized. Aethelfrith's power was now beyond dispute and the Celts were forced to accept his rule. That is not to say that large areas of the north instantly became Anglo-Saxon. The settlement of Anglo-Saxons was extensive, but Celts were still predominant in Cumbria, the Pennines, the Celtic Kingdoms of Loidis (Leeds), Elmet and Meicen (in Hatfield, the marshy country near Doncaster). In 603 Aethelfrith turned his attention to the Celts of the far north, going into battle with Aidan MacGabrain, King of the Dalriada Scots. The Dalriada Scots lived in western Caledonia but originated from Hibernia (Ireland). During the battle, the Scots were assisted by a large force of Ulstermen, but were defeated in battle at Degastan, an unknown location, possibly in Liddesdale. Aethelfrith's victory forced the Kingdoms of Strathclyde in the west, Rheged in Cumbria and Gododdin in the Lothians to recognise Bernician superiority once again. With his power and prestige assured Aethelfrith usurped the crown of Deira in Yorkshire. He thus became King of both Deira and Bernicia, uniting all the Angle territory north of the River Humber into one kingdom called Northumbria. Bernicia and Deira were reduced to mere sub kingdoms. Of course there were many in Deira who disliked Bernician rule, so Aethelfrith encouraged Deiran support by marrying Acha, a member of the Deiran royal family. It was unlikely to stop Acha's brother Edwin from claiming the kingdom of Deira but it was too dangerous for Edwin to remain in Northumbria and he sought protection at the court of King Cearl of Mercia (an Angle kingdom based in the Midlands). Edwin's presence in Mercia was a constant threat to Aethelfrith. In 615, the Bernician capital Din Guyaroi, was renamed Bebbanburgh in honour of Bebba, Aethelfrith's new wife. The name meant the fort of Bebba, but it would gradually come to be pronounced Bamburgh. This was perhaps one of many Celtic place names that were replaced by Anglo-Saxon names in this period and may reflect the gradual replacement of Celtic with Anglo-Saxon speech. It seemed that the native Celts were no longer the major threat to the expansion of the Angles and Aethelfrith for one was now preoccupied with defeating his Anglian rival. Later in 615 AD, he ousted King Cearl from the Kingdom of Mercia and took virtual control of the midland kingdom, although he employed a Mercian to look after Northumbrian interests here. Edwin, Aethefrith's major Northumbria rival fled from Mercia and took refuge with the King of East Anglia. Edwin was still a threat to Aethelfrith, but a seemingly more distant one and it seemed there would be no end to Aethelfrith's expansion. In 615, Aethelfrith defeated the Welsh in battle at Chester and once again seized Cumbria, bringing it firmly under Northumbria rule. It was a significant event as it isolated the Britons of North Wales from those of Strathclyde and the Lothians, although that is not to say that the Britons were exterminated in the District of the Lakes. However, Aethelfrith's expansion would not remain unchecked forever. In 616 he finally met his end in battle against Raedwald King of East Anglia at Bawtry on the River Idle. 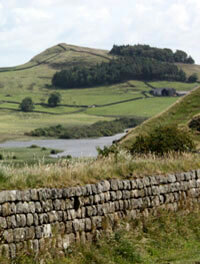 This site lies close to the present borders of Yorkshire, Nottinghamshire and Lincolnshire. In Aethelfrith's time this area lay on the southern reaches of Northumbria, a dangerous marshy region close to the border with Lindsey and easily accessible from the East Anglian kingdom. Upon Aethelfrith's death, Edwin, son of Aelle and prince of Deira seized the Northumbrian kingdom. A Deiran was now in charge of the Northumbrian kingdom, but there was still rivalry between Deiran and Bernician factions. The Bernician claimant was Aethelfrith's son Prince Oswald, who fled from Northumbria for safety. Oswald took refuge on the island monastery of Iona off the western Scottish coast. Political expansion and victory in battle was a necessary part of being an Anglo-Saxon king if he wished to gain support and respect and this was as true for Edwin as it had beeen for Aethelfrith. Much of Edwin's early military activity seems to have concentrated on the southern borders of Northumbria where there was still strong Celtic influence. Around 626 he evicted a client king called Ceretic from the ancient British kingdom of Elmet near Leeds and followed this with the capture of the Celtic kingdom of Meicen (Hatfield) near Doncaster. His expansion also extended south into the Angliankingdom of Lindsey (Lincolnshire). Since Edwin already had control over much of the land acquired by Aethelfrith, Edwin's power in the north was unequalled by any Anglian predecessor. But power and expansion naturally aroused jealousy and fear amongst rivals including Cuichelm, King of the West Saxons. In 626 Cuichelm sent north an assassin called Eumer, who attempted to kill Edwin as he celebrated the Pagan festival of Easter at his royal palace somewhere close to the River Derwent on the edge of the Yorkshire wolds. The assassin entered the King's court and asked to speak with the king on the pretence of having an important message from the West Saxon King. On seeing the king, Eumer produced a poisoned dagger from beneath his cloak with which he attempted to stab Edwin. Fortunately one of Edwin's men, Lillam jumped in the way and suffered a blow from which he was killed. A fight followed in which Edwin was injured but Eumer was eventually put to death. On the same night of the assasination attempt King Edwin's queen, Ethelburga gave birth. Angered by the assasination attempt, Edwin sought revenge and defeated the West Saxons in a great battle in Wessex. As a result Edwin proclaimed himself 'overking' of all England. Until this point, all the Northumbrian kings, including Edwin, had been solidly Pagan in their outlook, but this was about to change. Edwin had already formed an important alliance with the Kingdom of Kent, an Anglo-Saxon Kingdom that had converted to Christianity through the influence of St Augustine. In 625 a marriage had been arranged between Edwin and the Christian Princess of Kent called Ethelberga. Edwin was already considering his own conversion to Christianity and Edwin took the opportunity to attribute his victory in Wessex to the new Christian faith. On April 11 627, Edwin converted to Christianity, undertaking a baptism at York performed by a Roman missionary called Paulinus. The ceremony took place in a new, wooden church dedicated to St Peter. This humble little building was the predecessor of York Minster. Coifi, the Pagan high priest under Edwin, followed the king's example and he too converted to Christianity. To demonstrate his new faith Coifi destroyed the great heathen temple of Goodmanham near the River Derwent in East Yorkshire. Paulinus was appointed as Bishop of York, a post redundant since Roman times. He travelled throughout Northumbria converting Edwin's people at important locations associated with the Royal household. He is said to have baptised thousands of Northumbrians in the Swale near Catterick and in the River Glen near Yeavering. At Yeavering the outline of one Edwin's Royal Palaces can still be seen in the fields. It is only visible from the air but includes the clear outline of several buildings including a great hall and an auditorium. It is thought that Northumbrians assembled here to hear the words of influential speakers. Perhaps Edwin and Paulinus addressed an audience on this spot. Interestingly the palace lies at the foot of a prominent hill called Yeavering Bell, itself the site of a large Celtic fort. Was this perhaps one of many locations where Celtic and Anglian cultures merged together. Perhaps some of the Celtic peoples of the region had even held onto Christian beliefs since Roman times and it is just possible that in some cases Paulinus was preaching to the converted. It is very tempting to look for the continuous presence of Christianity in England since Roman times. It may be significant that York, so closely associated with the great Christian Emperor Constantine and the site of a Roman bishopric was chosen by Edwin as the centre for his Christian activity. The new wooden minster built by Edwin at York lay within what had been the headquarters building of the Roman legionary fortress. In 628 AD Edwin rebuilt the church of St Peter's in stone and he may have used rubble from the Roman fortess in its construction. Anglo-Saxon churches certainly made use of Roman stone as is demonstrated by the Anglo-Saxon church at Escomb in County Durham. Of course it is also known for certain, that the very name of the minster at York - its dedication to St Peter - was chosen to reflect its links with St Peter's in Rome. The church was given sealed approval by the Pope. It would be wrong, however, to assume that Roman Christianity was now firmly re-established in the north. Its future was only assured as long as Edwin remained in power. On October 12, 633, Edwin was killed. As with Aethelfrith, Edwin's death took place in a battle within the marshy low country near Doncaster. On this occasion the battle was at Heathfield (or Hatfield) where Edwin's forces were crushed by the Mercians in alliance with the Welsh. The Mercians fought under the leadership of a chieftain called Penda and the Welsh assisted under the their king Caedwalla. Osric, a possible successor to Edwin was also killed in the battle whilst Edwin's son Edfrith surrendered. Penda was appointed King of the Mercians and along with his Welsh ally Caedwalla could now claim to be one of the most powerful kings in the north. Caedwalla had his eye on Northumbrian territory and claimed the throne of Deira. It may sound sound strange that a Welshman would claim Anglian territory in Yorkshire, but many parts of this region will have still encompassed Welsh speaking territory and peoples particularly in the Pennines and in the former Celtic kingdoms near Leeds and Doncaster. So what was the future for Christianity in the North? In Bernicia, Eanfrith, the pagan son of Aethelfrith was crowned King of the Northumbrians and those who had converted to Christianity during Edwin's reign may have thought it wise to revert to Eanfrith's Pagan ways. St Paulinus, the Christian Bishop of York returned to Kent. There was still hope for the Christian cause. In 634 Eanfrith was killed by his younger brother Oswald, who had returned from his exile on the Christian island of Iona. Oswald became King. The following year Oswald heavily defeated Penda and Caedwalla in battle at Heavenfield just to the south of Hexham. The event resulted in Caedwalla's death. Oswald's victory over Penda at the Battle of Heavenfield made him the undisputed overking (or Bretwalda) of England. This was a title that had also been held by Edwin, but was more of a recognised status of 'top king' than an absolute king of all England. Oswald attributed his victory at Heavenfield to the work of God. As an expriment he had asked his men to pray to God prior to the battle and was now convinced that the Christian faith had brought him victory. Oswald was determined to continue the reintroduction of Christianity to the North East and employed St Aidan, an Irish monk from the Scottish island of Iona to convert his people. This would, however, be a Celtic Christianity, different to the Roman style of Christianity introduced by Edwin and Paulinus. Aidan, perhaps trying to recreate the atmosphere of Iona, chose Lindisfarne as the centre for his bishopric and established a monastery on the island. He was the first Bishop of Lindisfarne. Other monasteries would follow and in 640 a monastery was established on the coastal headland at Hartlepool by Hieu an Irish princess who became the first abbess there. Like Lindisfarne this too, had an island like location, as the Hartlepool headland was virtually cut off from the mainland. Further south York's Christian credentials were not forgotten and in 642 AD Oswald completed the work begun by King Edwin on St Peter's Minster church. Also in Yorkshire Lastingham Priory established in 654 by St Cedd. One lesser known monastic site of the period was Gateshead. This was known to the Anglo-Saxons as 'Goat's Head' as translated from Bede's Latin name for the site 'Ad Caprae Caput'. Little is known about the monastery her except that it was under the jurisdiction of an abbot called Uttan in 653. The name Goat's Head may have been taken from some kind of totem or emblem, perhaps of Roman origin, that may have existed on the Roman Tyne Bridge. Christianity did not of course bring an end to Northumbria's political expansion. In 638, the Lothian region was besieged by Oswald who brought it under Northumbrian control. Din Eidyn, once the chief fortress of the Gododdin, was brought under Northumbrian control and it was the Northumbrians that gave the fortress its Anglian name 'Edinburgh', perhaps in an attempt to associate it with king Edwin. The 'burgh' in Edinburgh is certainly an Anglian word and means 'stronghold'. Extensive Northumbrian-Anglian settlement must have taken place here since most of the place names in this region are still Anglo-Saxon to this day. Interestingly the form of English spoken in Scotland would also develop from the Northumbria-Angle speech introduced to the Lothians rather than the earlier Welsh-Celtic type of language spoken by the Gododdin or the Gaelic type of Celtic language spoken by the Scots. There was to be no peaceful break from military conflict in the North and it seemed certain that Oswald would eventually, like his predecessors, lose his life on the battlefield. And so it was on August 5, 642 AD, Oswald, King of Northumbria died in battle at Maserfelth against Penda of Mercia. The location of the battle is uncertain, with the two main suggestions being Makerfield in Lancashire or Oswestry in Shropshire. Oswald was succeeded by his brother Oswy in Bernicia (the North East region north of the Tees) and by a rival called Oswine in Deira (Yorkshire). This meant that Northumbria was split into two parts once again. The split weakened the kingdom and Penda of Mercia took the opportunity to seize certain Northumbrian lands in Deira, Lincolnshire and Elmet near Leeds. Oswine of Deira was now under threat from all sides and was eventually murdered after backing down from military confrontation with Oswy at Wilfar's Hill near Catterick. Oswine's hiding place at Gilling was discovered by one of Oswy's men. So Oswy seized the Deiran crown, making his claim on the strength of his marriage to Eanfled, daughter of the late King Edwin. So Northumbria was once again united. Ethelwald, the son of the late King Oswald was employed by Oswy to take care of the king's affairs in Deira, but he betrayed Oswy, siding with Penda of Mercia in an attack in 653. This attack that took the raiders as far north as Bamburgh. War raged between Mercia and Northumbria and on November 15, 655, the Mercians and Welsh were defeated in a great battle. Its location is not certain, but the battle is described as being near the River Winwaed. The river is unidentified so its name must have changed at some later point in time, but it is generally agreed that it was somehwere near Leeds. It was a very important battle since Penda, the King of Mercia and thirty enemy chieftains were killed. Many of the Mercians were drowned in the river as they tried to escape. Oswy's victory placed him in a position of great prominence in England. Not only was he now the undisputed King of Northumbria but he was also proclaimed 'Bretwalda' - the 'top king' of all England. Oswy's control of Deira was assured but now he also had a say in Mercian affairs, appointing Penda's son Peada (after whom Peterborough is named) as King of Mercia south of the Trent. Oswy seized northern Mercia for himself. The defeat and death of King Penda of Mercia at the Battle of Winwaed in 655 seemed to mark the beginning of a new period of Northumbrian greatness. It was certainly an age of important Christian developments in the region. The establishment of new monasteries continued, such as that at Ripon founded in 657 by Irish monks from Melrose. At around the same time St Hilda, abbess of Hartlepool founded a monastery at Streanashalch (Whitby). This was also a period of great debate about the kind of Christianity that should be practised in the North. In the reign of Edwin, Roman Christianity had been introduced to the North, but during Oswald's reign a Celtic form of Christianity was preferred. This meant that Northumbria was out of touch with the rest of England and Europe. In the year 664 a great synod was held at Whitby to discuss the controversy regarding the timing of the Easter festival. Much dispute had arisen between the practices of the Celtic church in Northumbria and the beliefs of the Roman church. The main supporters of the Celtic Christianity at Whitby were Colman of Lindisfarne, Hilda of Whitby and Cedd, the Bishop of Essex. St Wilfrid, a well travelled man championed the Roman Christian cause and successfully persuaded the Northumbrians to reject their old ways. Colman, the Bishop of Lindisfarne resigned and returned to Iona and was replaced by Bishop Tuda, the first Bishop of Lindisfarne to practice the Roman ways. Tuda's reign as bishop was short lived and later in the year he died of plague. Wilfrid was chosen as his successor and although Wilfrid agreed to take up the post, he transferred the bishopric from Lindisfarne to York, perhaps to distance himself from the Christian Celtic traditions of the Northumbrian island. Wilfrid was keen to prove a point with a staunch adherence to the strict rules of the Roman church. He claimed that there was no person in England who could consecrate him as bishop and so headed off to France to be ordained. This infuriated King Oswy who replaced the absent bishop with St Chad of Lastingham. King Oswy died in 669 and was succeeded by his son Ecgfrith who allowed St. Wilfrid to return to England and take up the post of Bishop of York. Wilfrid established a grammar school at St Peters in York and commenced the building of a new minster in the city. He also established a new monastery at Ripon. In the background to these Christian developments Northumbrian military and political expansion continued and by 672 the Celts of Cumbria and Dumfries were conquered by the Northumbrians under Ecgfrith's leadership, whilst the Picts of Caledonia were defeated in battle. In the following year Ecgfrith would also defeat the Mercians (Midlanders) in battle. Northumbrian supremacy was once again confirmed, but Ecgfrith was soon to find himself involved in conflict away from the battlefield. In 673 he divorced his virgin queen Ethelreda of Ely in order to marry his new love Ermenburga. The chaste Ethelreda, under the influence of St. Wilfrid, chose to become a nun and was given land at Hexham by her former husband. Ethelreda chose to give her new land to Wilfrid for the building of a monastery. She herself opted for the coast and established a new monastery at St Abbs Head (north of Berwick). The year 674 saw the establishment of what would become one of the most important Roman Christian monasteries in the north. The monastery of St Peters, Monkwearmouth was founded by a noble called Benedict Biscop on land granted by King Ecgfrith. A great library would develop here, with books from France and Rome and the first coloured glass in England would be introduced to the monastery by continental glaziers. Gregorian chanting was introduced and many other advanced aspects of Christian culture hitherto unknown in the north came to Monkwearmouth under Biscop's influence. Meanwhile tensions between King Ecgfrith and Wilfrid continued to rise and in 678 the king banished Wilfrid from Northumbria. It is possible that Ecgfrith may have been jealous of Wilfrid's long standing friendship with his former wife, now a nun at St Abbs Head. The king broke up Wilfrid's York based bishopric into two parts with two separate sees centred on York and Hexham. The bishopric of Hexham extended from the River Tweed to the River Tees whilst that of York extended from the Tees to the Humber. Wilfrid, in exile in Europe, turned his attention to the conversion of the Frisian people of North West Germany. He would return to Northumbria in 680 but was arrested after landing at Dunbar. Wilfrid had brought with him papal documents overthrowing the division of the Northumbrian bishoprics, but the king of Northumbria would not take orders from the Pope and Wilfrid was imprisoned. He was later released and fled to Sussex where he converetd the last pagan kingdom in England to Christianity. Wilfrid claimed that King Ecgfrith had no right to divide the Northumbrian bishopric, but the king was unmoved by the papal orders. In fact, in the year 681 Ecgfrith made a further division dividing the new Bishopric of Hexham into two parts with the re-establishment of a separate bishopric at Lindisfarne. Hexham's diocese would now extend from the River Aln to the River Tees. With his control over the church firmly recognised, King Ecgfrith turned his attention once more to military matters and for the first time attempted to take Northumbrian expansion overseas by sending an army into Meath in Northern Ireland in 684. He may have hoped to expand his empire into these new lands but nothing seems to have developed from this particular campaign. One person who had advised the king against this particular campaign was St Cuthbert. In his younger days Cuthbert, had become a popular and well respected figure noted, apparently, for his gift of working miracles and healing the sick. Cuthbert had retreated to the island of Inner Farne in 676 to live as a hermit - once a common practice among those who wished to be closer to God. Despite his hermit lifestyle, Cuthbert was visited by many, many people in search of healing. The respect he commanded amongst the people made him an ideal choice for a bishop. 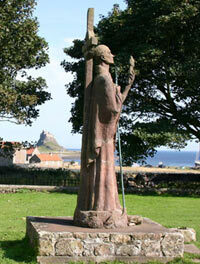 In 685 he was elected as the Bishop of Hexham at a synod near Alnmouth, but he requested a transfer to Lindisfarne. Cuthbert was consecrated Bishop of Lindisfarne at York on April 7th in the presence of King Ecgfrith. On May 20 685, King Ecgfrith of Northumbria was killed fighting Brude, King of Caledonia. It symbolised an end to the period of Northumbrian expansion. One result of the defeat was the abandonment of yet another Northumbrian bishopric at Abercorn near Edinburgh. Aldfrith the illegitimate son of the late King Oswy and an Irish princess, became the new King of Northumbria and although his reign seemed to signify and end to political expansion, art and learning would flourish under his rule. Great works of Celtic art would be encouraged by the new King who had been educated in Ireland. The year in which Aldfrith succeeded as king, saw Benedict Biscop's completion of the monastery of St Pauls at Jarrow, a twin monastery to Monkwearmouth. Among the new students at Jarrow was Bede, a young boy of nine years old, who had been transferred from Wearmouth to the new site. Unfortunately plague hit the two monasteries of Wearmouth and Jarrow in 686, while their founder Benedict Biscop was in Rome. Fortunately Bede and the Abbot Ceolfrith of Jarrow were among the few survivors of the plague. On March 30, 686 St Cuthbert, perhaps sensing his time was nearing an end, resigned from the post of Bishop of Lindisfarne and returned to the island of Inner Farne as a hermit. Later that year Cuthbert died on his lonely island with only sea birds and seals for company. Northumbria mourned the loss of its best loved saints. St Wilfrid returned to Northumbria in that year to become Bishop of Lindisfarne but within two years had transferred to Hexham. He succeeded St. John of Beverley who retired to become a hermit. Eadbert replaced Wilfrid at Lindisfarne. Only four years passed before St Wilfrid found himself once more at the centre of contoversy. 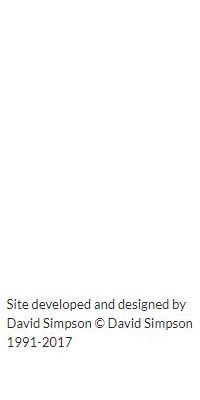 Once again the issue was over the creation of a bishopric with Wilfrid refusing to allow the creation of a new bishopric based at Ripon. Wilfrid was banished from Northumbria and John of Beverley was reinstated as Bishop of Hexham. Wilfrid turned his attentions to Mercia where he founded at least six monasteries in the period 691 to 703, but his influence was being felt further affield. In November 695, a Northumbrian monk called Willibrord, a former pupil of Wilfrid at Ripon, was consecrated Bishop of the Frisians. Wilfrid's fortunes in Northumbria would improvd on December 4, 705 when Aldfrith King of Northumbria died at Driffield in the Yorkshire Wolds. Weak leadership was beginning to characterise Northumbrian affairs, but the church was growing from stength to stength and no religious house was perhaps more influential than the joint monastery of Wearmouth-Jarrow. On January 12, 690 Benedict Biscop, the founder of Monkwearmouth and Jarrow monasteries died of palsy. He was succeeded by Ceolfrith who became abbot of both monasteries. Two years later in 692 Bede, a sholar at Jarrow monastery was ordained as a deacon at the age of nineteen. By 703 Bede progressed to the rank of priest. Bede was something of a star pupil and was fortunate enough to be growing up in one of the most influential and learned monasteries in Europe. The monks of this monastery were well travelled and their opinions were respected. In 716 Ceolfrith, the Abbot persuaded the island monastery of Iona in Caledonia to abandon its Celtic Christian ways in favour of the Roman style of Christianity. Ceolfrith's successor continued this work persuading Nechtan, the King of the Picts to convert to Roman Christianty. This was an era of great art and literature, which saw the publication of an illuminated bible called the Codex Amiatinus at Jarrow and the completion of the beautiful Lindisfarne Gospels at Lindisfarne in 721. At Jarrow, Bede was writing the Life of St Cuthbert, a work specially written for the monks of Lindisfarne, but there were other works for which he would achieve greater fame. A chronolgical work published by Bede in 725 introduced dating from Christ's birth - Anno Domini and this was eventually adopted by the entire Christian world. He did not invent the concept of AD but it is widely due to him that this system of dating was so widely adopted. But Bede's greatest work was undoubtedly his History of the English Church and People completed in the year 731 at Jarrow. He dedicated this work to King Ceolwulf of Northumbria. It was to become one of the most important sources of information about the history of the Anglo-Saxon period and was undoubtedly the first history of England ever to be written. Bede was one of the most respected figures of his day and such was his influence that his presence in Northumbria helped to persuade the pope to upgrade the Bishopric of York to the status of an Archbishopric in 734. The first Archbishop, Egbert, a former pupil of Bede would now be independent of Canterbury. When Bede passed away at Jarrow on May 25, 735 Northumbria would mourn the loss of its greatest scholar and historian. His name would be remembered in history for centuries to come. He was the greatest man of learning of the Anglo-Saxon age and his works would be known throughout Europe. The joint monasteries of Wearmouth and Jarrow were the brightest lights of learning in 'Dark Age' Europe. The age of Bede was something of a heyday for the Kingdom of Northumbria, but in the late eighth century Northumbria was plagued with weak leadership and collapsed into a state of anarchy caused by rivalry between the royal houses of Deira and Bernicia. King Aldfrith of Northumbria, who died in 705 was succeeded by his son Osred who was only a boy. 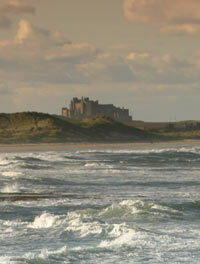 The boy king was besieged at Bamburgh, but his attacker Eardulph was captured and beheaded. St. Wilfrid soon emerged as the young king's protector and adopted faher and was reinstated as Bishop of Hexham after a synod was held near the River Nidd in North Yorkshire. But Wilfrid was now well into old age and in the year 709, he died while visiting his Mercian monastery at Oundle, Northamptonshire. Wilfrid was succeeded by Acca as the new Bishop of Hexham and received burial at Ripon. Remarkably, Osred the boy king held on to power in the north and in 711 the Northumbrians even managed to defeat the Picts in battle, preventing the expansion of the Pictish kingdom. That this was a campaign of defense is perhaps telling, the days of Northumbrian expansion were now over and as the decades passed the history of the kingdom would be plagued by infighting. In 716 Osred, was assasinated at the age of nineteen, near the southern borders of his kingdom by his kinsmen Cenred and Osric. Cenred became the new King of Northumbria. He would would only live for two years before he was succeeded by Osric. Nothing remarkable can be noted about these two murderous kings and in 729 Osric died and was succeeded King Ceolwulf, brother of Cenred. Ceolwulf's reign was characterised by his obsessive religious interests, he was more monk like than king like and was sometimes ridculed by his people. On one occasion in 732 he was captured and focibly tonsured - his hair cut in the style of a monk. From 737 AD to 806 AD Northumbria had ten kings, of which three were murdered, five were expelled and two retired to become monks. It brought an instability to the Kingdom which may well have encouraged the first Viking raiders to attack the Northumbrian coast from 793 AD. King Ceolwulf was one of the first of these weaker leaders retiring from the kingdom in 737 to become a monk. He was succeeded by Eadbert, an unremarkable king with an unremarkable reign. 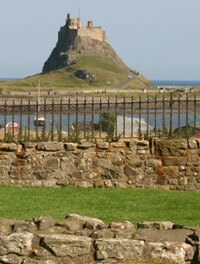 In 750, Eadbert is known to have imprisoned the Bishop of Lindisfarne at Bamburgh for plotting against him. Eventually, like Ceolwulf, hewould retire from his kingdom in in 758 to become a monk at York. Eadbert was succeeded by his son Oswulf, the following year but Oswulf reign for only a few months before assassination at Corbridge on Tyne on August 5th 759. He was succeeded by the Deiran, called Athelwald Moll of Catterick, who may have been responsible for his death. Moll was certainly capable of cold blooded murder, killing a Bernician noble called Oswin at High Coniscliffe on the Tees in 761. Moll was not popular with everyone in the north and was eventually forced out of power on October 30 765 after a meeting was held at Finchale (near Durham) to decide his future. Moll was succeeded by Alhred but he too was forced out in less than a decade, by Moll's son Athelred. And so it goes on, the period seems to be characterised by little more than one regime ousting another. Athelred was ousted by a Bernician called Alfwold and a number of royal nobles were murdered at High Coniscliffe during the coup. In 788 King Alfwold was murdered by his uncle Sicga at Chesters on Hadrian's Wall and was buried at Hexham. He was succeeded by his boy nephew Osred II, but the child fled to the Isle of Man to escape his enemies and Athelred commenced a second period as King. By the end of the summer 792 Athelred had drowned a rival Prince in Windermere and beheaded Osred II at Maryport on the Cumbrian when Osred returned to the mainland. He then attempted to form an alliance with Mercia by marrying the daughter of King Offa at Catterick. Perhaps the ruthless Athelred was the strongest in this sucession of weak kings, but the kingdom of Northumbria was now a shadow of its former self. It no longer seemed to have the military might of the past and its religious affairs were in a state of collapse. In 782 and 789 emergency meetings or synods were held at Aycliffe regarding religious matters and church discipline. Similar meetings were held at Finchale in 792, 798 and 810. The inherent weaknesses in Northumbria probably did not escape the attention of people from far across the North Sea, who soon began to raid the Northumbrian coast. On June 8th 793, in an unprecedented attack which shocked the whole of Europe, a raiding party of Vikings from Norway attacked Lindisfarne. Monks fled in fear and many were slaughtered. Bishop Higbald sought refuge on the mainland and a chronicler would record- "On the 8th June, the harrying of the heathen miserably destroyed God's church by rapine and slaughter. " In a letter from Charlemagne's court in France, Alcuin the former head of York School blamed the Viking attack on a fall in moral standards in Northumbria. He was well aware of Northumbria's state of disaray and he for one clearly saw the raid as a punishment from God. More attacks would follow in 794 with the Vikings attacking the famous monastery at Jarrow, although on this occasion the Northumbrians were prepared for the attack and managed to surprise and utterly destroy the Viking attackers. But further Viking raids on Lindisfarne and Jarrow would continue throughout the year and by 800 monasteries at Whitby, Hartlepool and Tynemouth were also targets. The monasteries exposed on the eastern coast of Northumbria were wealthy treasure houses that were an irresistable target for the Vikings. King Athelred's reaction to the Viking raids is not recorded, but by April 18th 796 he was dead, murdered at Corbridge as the result of a plot by a Northumbrian noble called Osbald who succeded Athlred as king for just over a month before he was forced out by a new king called Eardwulf. Eardwulf was ousted in 806 by Alfwold II, but was restored to power in 808 following Alfwold's death. Eardwulf was ousted again in 811 and succeeded by Eanred. 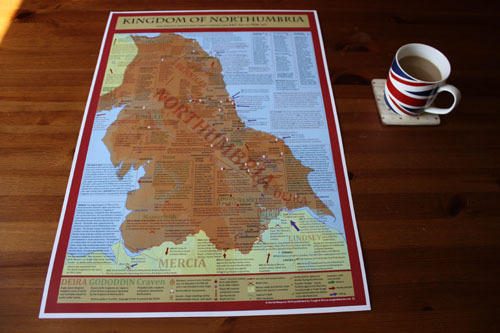 Northumbria was by this time a backwater, no longer a big player in English affairs. This became blatantly clear in 829 when the most powerful king in England, Egbert King of Wessex and Mercia called a meeting with Eanred of Northumbria at Dore near Sheffield on the Northumbria-Mercia border. Dore was literally Northumbria's 'doorway' to the south.The aim of the meeting was to ensure peace, and the result was that Eanred was forced to accept Wessex supremacy and recognise Egbert as the 'overking' of England. Wessex was now firmly established as the most powerful Anglo-Saxon kingdom in England and would remain so until 1066. In Northumbria, King Eanred's reign would outlast many other kings of this period and he remained in power until his death in 840, when he was succeded by his son Athelred II. Throughout this period Viking raids continued to be a problem on the Northumbrian coast. In 830 the monks of Lindisfarne were forced to flee the island with the coffin of St Cuthbert to escape further raids. They settled inland at Norham on Tweed where a church was built for the saint's shrine, but this was only the beginning of a long journey that would see them travel widely throughout the North. Vikings raids were by a now problem almost everywhere in the British Isles. In 841 Vikings from Norway established Dublin as their chief coastal stronghold in the British Isles and Viking colonies were developing on the islands off the norther Scotish coast. The first Northumbrian king to fall victim of the Vikings was Raedwulf, who was killed by Vikings, probably in a coastal attack in 844 shortly after he had ousted Athelred II from the Northumbrian throne. The fortunate Athelred was restored and reigned until his death in 848 when he was succeeded by King Osbert, one of the last AnglIan kings of Northumbria. In 866 Osbert, the Anglo-Saxon King of Northumbria was overthrown by his people and replaced by Aelle II. Osbert and Aelle were perhaps brothers, but they were linked respectively to the Bernician and Deiran factions of the Northumbrian royal family and their rivalry was one aspect of a long running civil war. Holding onto leadership was a major challenge for the Northumbrian kings in this era, but in 866 an even greater threat to the stability of leadership was about to emerge. For seven decades the Vikings had been raiding the coast of Britain and it seemed inevitable that they would eventually launch a full scale invasion of our shores. This is precisely what occurred in the year 866, when a huge army of Danes, invaded East Anglia from their well established bases in the Low Countries of the Continent. They arived under the leadership of Ivar the Boneless and his brothers, Halfdene and Hubba and after camping the winter, turned their attention to Northumbria.